The kids are loving not having school, and are learning more than ever. Today Allen took them to Fort Necessity Battlefield and they started the Jr. Ranger program. 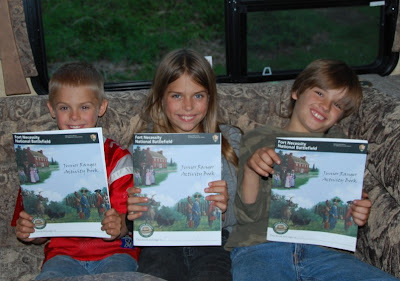 They very excitedly did the whole book, are now Colonels, and happen to have learned quite a bit about the fort, French and Indian War, and George Washington!